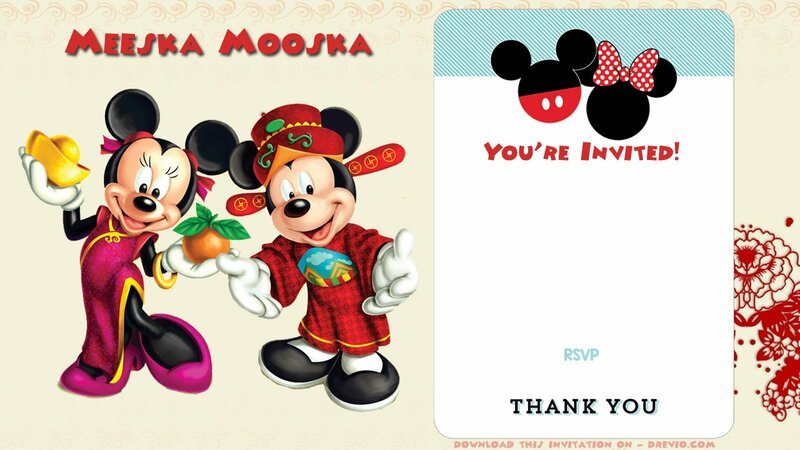 Well, another version of Chinese New Year card template, is this free printable Mickey Mouse Chinese birthday invitation. You can use this invitation for free but for personal use. Comes in JPEG, you can simply print this invitation and start filling it with your marker or pen. Fill it with your name, years, address, time and RSVP. If you can operate Photoshop, you can edit this invitation with your own ideas. Your creativity is the limit. Simply click the image and Save image as, and write down the details.